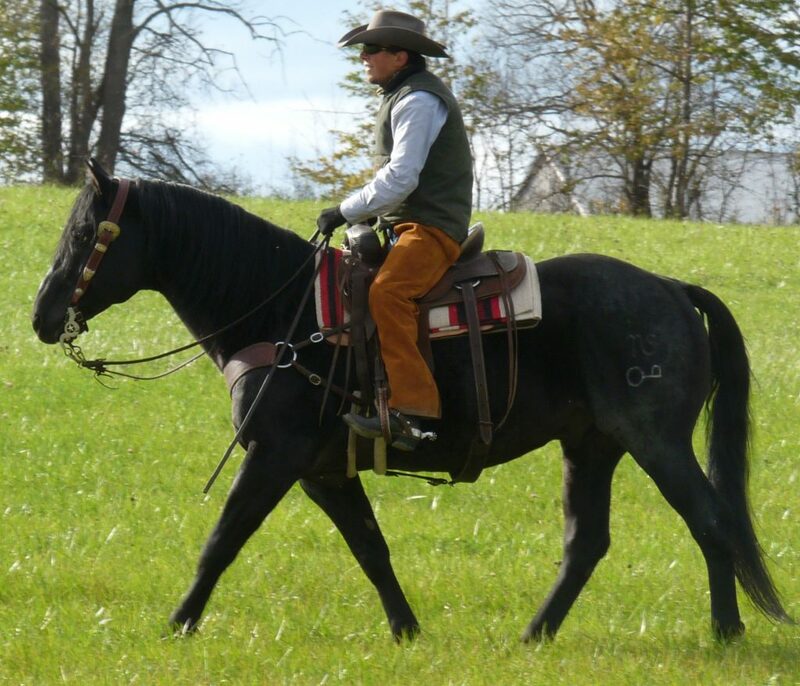 PNA Travelin Hancock (Hank) is one heck of a nice horse. 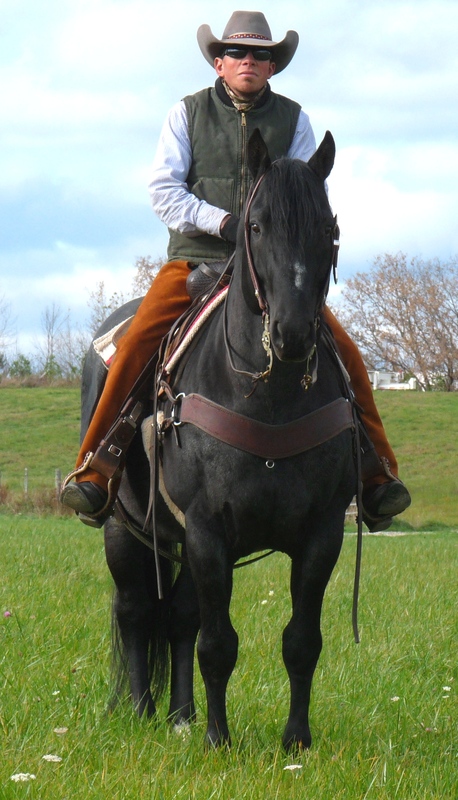 He’s a big powerful stallion but yet is very nice around. 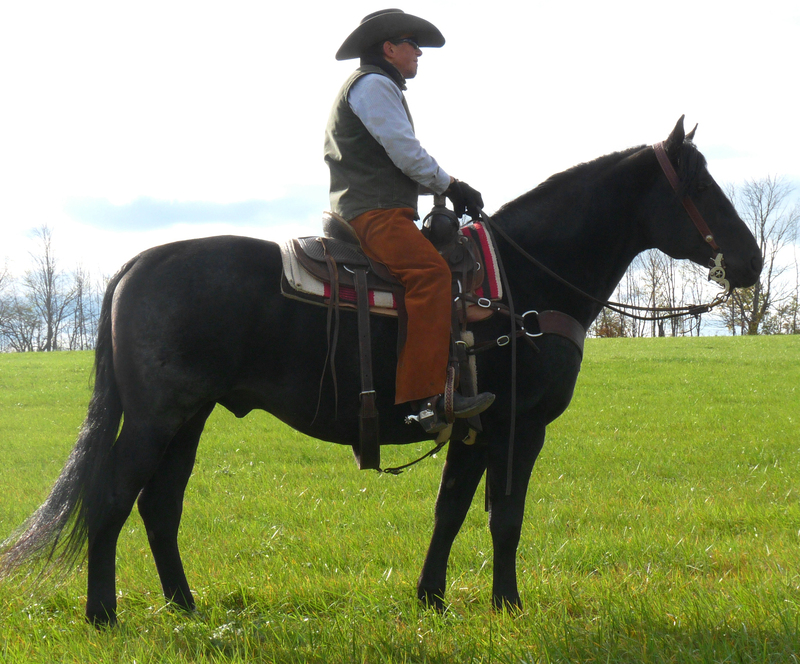 He’s a dark blue roan and really catches a lot of attention. This fella has a lot of Hancock blood in him and he sure carries the good characteristics that the Hancocks are known for. He has tremendous bone and a big foot. He has a lot of size and substance – these are the type of horses that stay sound forever. 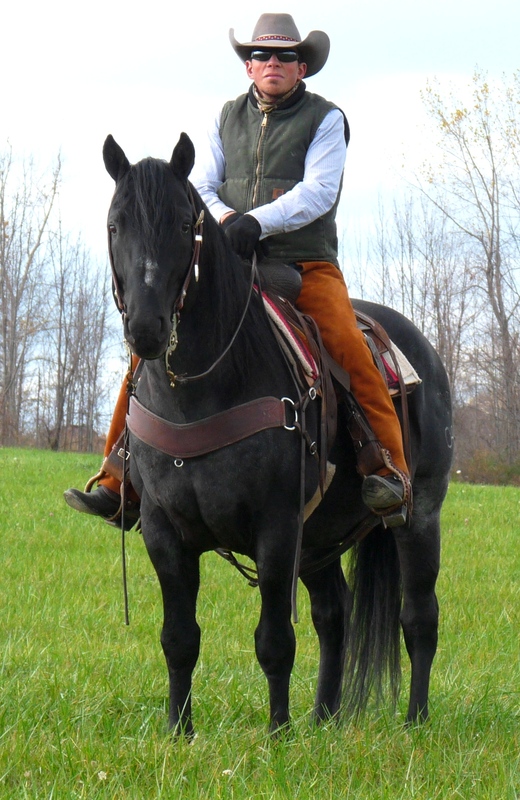 Hank is great to get along with and is a real nice horse to have around the place. 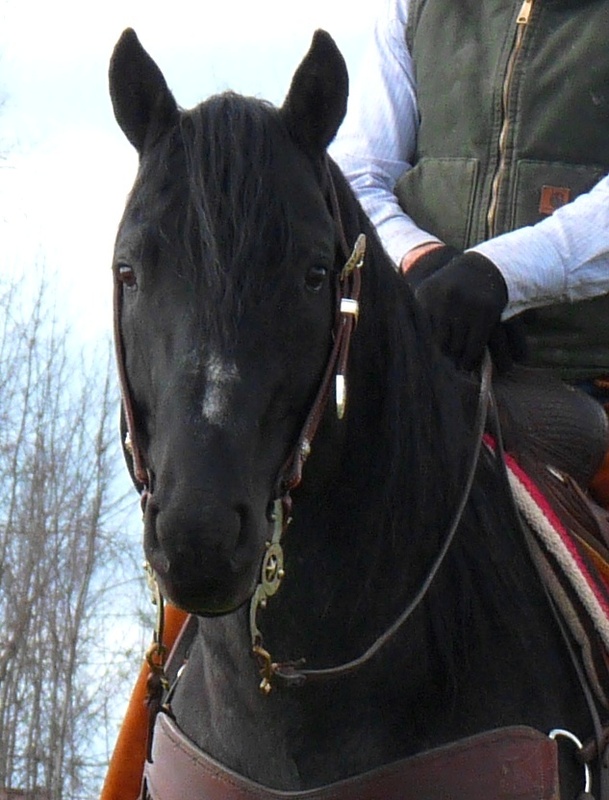 He’s earned his living as a rope horse, ranch horse, and as a tremendous sire. He passes on his characteristics to his offspring along with a very high percentage of them being blue as well. We count ourselves fortunate to have been able to get this good horse. Hank has been 5 panel tested and is clear on all counts.